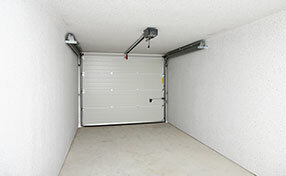 The importance of garage door openers is immense since they move the door automatically. The opener box mounted on the ceiling contains the lights, several control buttons which adjust the force limit of the door, and the motor. The emergency release rope, which hangs from the trolley, is connected to the motor and so when it is pulled down, the opener is disconnected and the door opens manually. 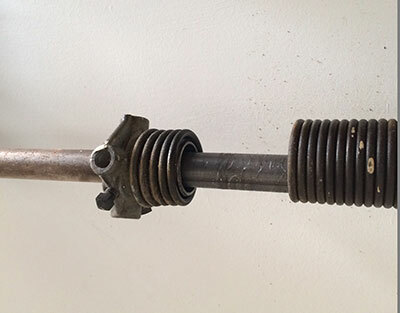 The opener is attached to a rail, which goes all the way to the door and is connected with the door with an arm. 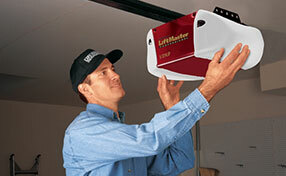 Liftmaster and Genie are the authority manufacturers of electric operators that produce openers with safety features. 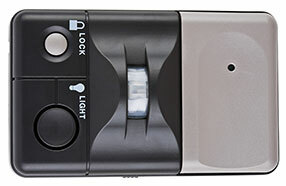 All openers by Sears, Marantec, Chamberlain, and Craftsman comply with the safety regulations of UL 325, since this is required by law for the protection of people. Giving priority to the protection of customers is one of our top concerns. Our team is in the business of garage door repair for a wealth of years and understands well that the safety regulations must be carefully followed so customers won't be involved in accidents. The opener installers of Garage Door Repair Mission Viejo verify the operator is fastened well; all parts adjusted and mounted properly alongside meticulous attention to the proper installation of the sensors. We test the reverse mechanism but also the force of the door to confirm it opens and closes all the way. In addition, our earnest team makes such adjustments when the overhead door suddenly stops over the floor or keeps reversing. Our diligent technicians possess the technical knowledge to solve such problems and provide immediate garage door opener repair. These problems are urgent but thanks to our phenomenal organization and expertise in door operators of all brands, we solve them fast. We are excellent in opener troubleshooting and guarantee proficient and meticulous opener maintenance. If you have specific issues with your Linear Garage Door Opener, don't hesitate to share them with us.